Doha, Qatar – March 26, 2017: The Westernized definition of feminism, and misconceptions that surround Muslim feminists as being in opposition to Sharia’ law, were challenged in a session at Northwestern University in Qatar. In her session, 'How Not to Talk about Muslim Feminism,' distinguished scholar and Islamic and U.S. constitutional law expert, Asifa Quraishi-Landes, spoke about the goal of women’s empowerment within Muslim societies. She was introduced by NU-Q Professor Zachary Wright, as well as NU-Q student, Sheikh Thani bin Hamad Al Thani who introduced her on behalf of the student body. She argued that years of Western colonization have skewed Islamic laws and societal behaviors in Muslim countries. This negatively affected the global perception of Islam, and created false divides between those who support Westernized liberation, and those grounded in Islamic law. In introducing Quraishi-Landes, Wright noted that women in Muslim societies would benefit from more education in Islamic law. “Muslim societies think of sharia as ultimate justice, not the reductionist image of hudud punishments so popular in the Western media. Muslim women … have effectively asserted their rights through an appeal to sharia-based norms specifying female rights,” Wright said. “Professor Quraishi-Landes is a distinguished scholar who brings a practical, legal perspective to understanding feminism in the Islamic world, thus expanding the perspective of our students,” said Everette E. Dennis, dean and CEO. Quraishi-Landes is a professor of law at the University of Wisconsin-Madison, where she teaches courses in Islamic law and U.S. constitutional law. She is also recognized for her work in comparative legal theory, and women in Islamic law. Quraishi-Landes argues that advocacy work for women’s rights in Muslim societies has been most successful when it avoids Western liberation vs. Islamic conservatism false binary. Her research in Islamic constitutional law, which remains an important source for ethical principles in modern governments across the Muslim world, shows that Muslim women had more rights and freedom prior to the colonization era. She explained that a lack of awareness about the origins of Islamic law, have allowed the West to manipulate the religion and what it actually calls for, “Women in Muslim societies would benefit from more education in Islamic law. This is a proposition that many Western feminists find unpalatable,” said Quraishi-Landes. Quraishi-Landes’s session is the first of a series of interdisciplinary lectures that are part of NU-Q’s new Middle East studies minor. 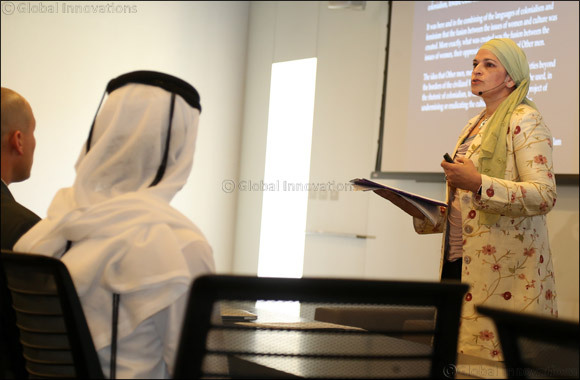 The minor is an expansion of a certificate program that NU-Q has offered for several years. The new minor will provide students with a critical understanding of the region’s cultures, histories, societies, politics, intellectual contributions, and mediated representations. It also addresses global issues essential for understanding the region, such as decolonization, orientalism, and gender or religious revivals.